Act Now for Next Year! Now is the time to being planning for an experience of a lifetime for the girls in your group. The reason for planning now is to inspire girls to re-register next year, start planning and budgeting in advance for big trips or projects and give plenty of time to execute the plan and achieve the girls’ goals. Journey Descriptions: It’s Your World-Change It, It’s Your Planet-Love It, It’s Your Story-Tell It or use this summary. Use the Badge Explorer to let girls check out their options. Program Opportunities Book: Remember that events change each year so you will have to revisit this in the fall to make plans final. Information about highest awards if you have Girl Scout Juniors and above. Debrief the past year: Talk about some of the fun things that you did this past year in Girl Scouting. Was there anything they wanted to do that they didn’t get to? Brainstorm: Hang large sheets of paper with the below titles around the room then take them through each topic letting them brainstorm ideas. 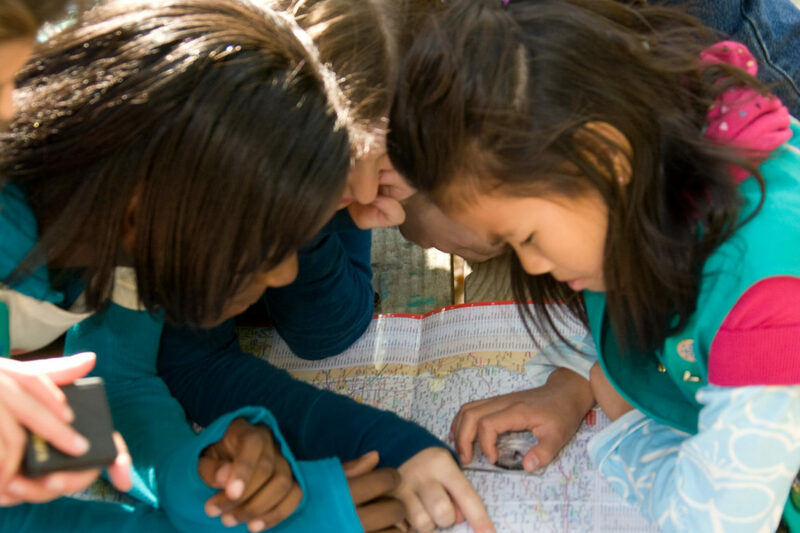 Awards and badges: Talk about the different Girl Scout Journeys available to girls and use the Badge Explorer to help girls find topics that interest them. Take Action and service: How would the girls like to connect with their community? They don’t have to choose a project now, they just need to save some time in their schedule to investigate, plan and implement a project. Trips and outings: Where do they want to go this year? Are there places they need to go to help them earn a badge or learn a new skill? Is there a trip that would compliment their chosen Journey? Are there other Girl Scout events in the community, service unit or council that they would like to attend with their sister Girl Scouts? What about summer camp? Traditions and holidays: What are some of their favorite Girl Scout traditions? Are there traditions that they would like to learn more about like Girl Scout Thinking Day? Are there other special holidays they would like to observe like Women’s History Month? Logistics: Where should they meet? Is this location still working for the needs of the troop? How will the troop share responsibilities like food, snack and supplies? Money Earning and financial literacy: How will the troop earn money to support their projects? How will the Girl Scout Cookie Program work into their plans? 3. Decision Making: After gathering all of the ideas on large paper, allow the girls to vote on their top choices. Now you will have agreed upon activities from each element of a troop experience. Everyone will have an investment in helping these choices come to fruition since they provided input. Using the calendar, have the girls place their choices on the calendar. With younger girls, the adult may have to do the calendar scheduling, but don’t underestimate the girls input even at a young grade level.